Well, the intention was there at leastâ¦ Yes, we planned to run weekly â even bi-weekly â themed previews for this year’s Good Beer Week Festival. But, low and behold, it turns out that being festival director for such a behemoth actually takes up quite a lot of time. So, we will soon be handing over the reins to a fellow beer writer who has started penning his own picks of this year’s goodies. But, in the meantime, we have managed to pull together one more preview of our own. It looks at some of the quirkier events taking place during the festival. Most are drawn from the new Good Times stream, which was created by the festival team this year as a home for events at which entertainment is to the fore and good beer is an accompaniment. They are events designed to entice newcomers into the world of better beer in as fun and welcoming manner as possible. 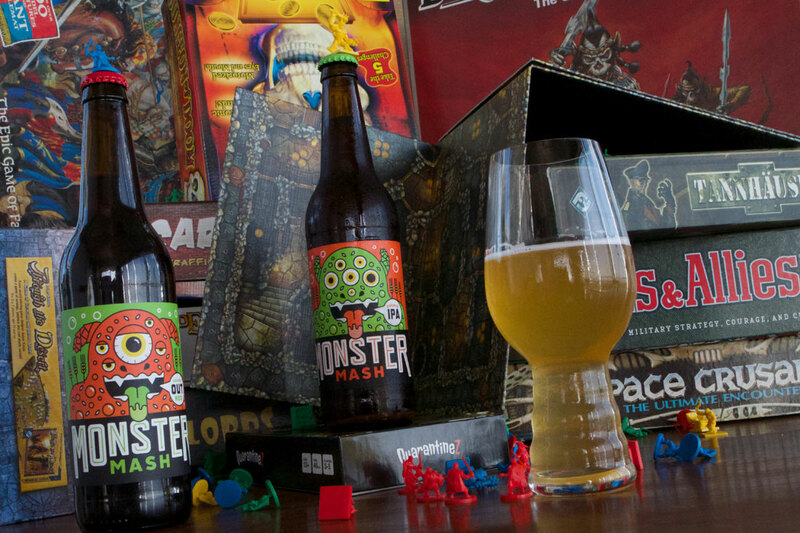 The brewers formerly known as Monster Mash bring you an afternoon of big, hoppy beers and boardgames. Please note: this event is listed as free in the print program. It is not so please buy your tickets online in advance. Why craft beer and board games? Both drinking craft beer and playing games are fundamentally social activities that involve a level of appreciation for the hand made, tactile and considered things in life. Why should people come along to your event? CR: Weâre combining the funnest things that Sunday afternoons are made for: Eating? 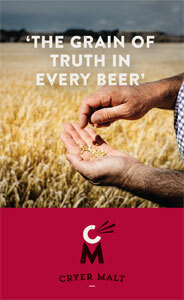 – check; Drinking great beer? – check; Playing games? – check! ; Getting busy with that special someone? – three out of four ainât bad! It will be pretty relaxed and friendly to both newbies and experienced gamers – youâll get to chat and strategise with some other like-minded folks, all while drinking great beer and enjoying some great food. One half of the Killer Sprocket brewing team, Sean Ryan, is also a stand-up comic and regularly hosts comedy nights. So really he couldn’t let this festival pass without combining all of his loves in one neat package. Sean Ryan: The line up is now complete. We have the following booked in: Ronny Chieng, Luke McGregor, Rob Hunter, David Quirk, Tommy Dassalo and Daniel Connell. Why people should come and enjoy comedy with a good beer in their hands? SR: They should come and enjoy comedy with a good beer in their hands as both laughing and drinking good beers release endorphins. Australia, particularly Melbourne, has some of the best new comic talent. Just like local craft beer, local comics need our love and support otherwise the homogenisation of comic globalisation will take over, by taking a stand against the bland and supporting local talent you will feel good and that can release endorphins too. So come to Killer Sprocket Comedy as it is a fantastic night of triple endorphins! Edge Brewing Project invites festival goers to shed a few pounds (or more likely milligrams) before putting them back on with some awesome beers in their new pilot brewery. Where on earth did the idea for a workout come from? Adam Betts, Edge / Northdown founder: I wanted to branch out and do an event outside of the normal degustations etc. 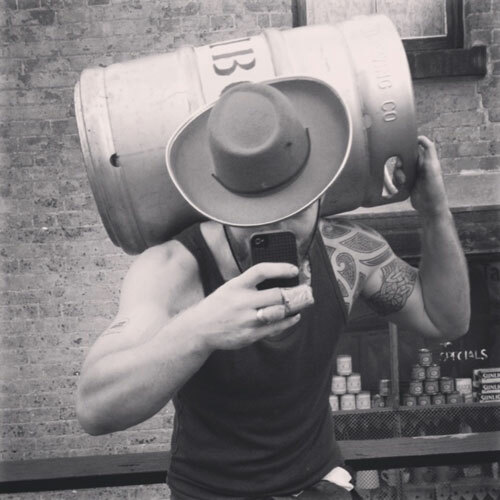 My partner, Michelle Vanspall, being a personal trainer and gym manager, has a few clients who are craft beer fans, and surely there are some beer nerds that occasionally exercise, so we partnered together for an event combining both worlds. We also saw this is a way of bringing in a new demographic to GBW and beer events, as well as offering something different to the die hard craft beer geeks. Beer Boot Camp! What can people expect on the day? AB: Lots of beer and heaps of fun, with some token exercise thrown in, maybe lifting a keg, just so we can pretend the event is a workout. We encourage hangovers and beer bellies. There will be some competitions, with beer involved of course! A complimentary Edge Singlet/T-shirt is given and drinks afterwards are across the road at Edge’s pilot brewery. Having sold out a full week of classic movie nights at last year’s Good Beer Week, this time around Fitzroy’s The Wilde turns its attention to comedy, partnering with Mountain Goat for five nights of local laughs and local craft beer. Why did you decide to bring comedy to the festival? Owner Wayne Markus: Following on from the success of last year’s Secret Cinema event we at The Wilde are attempting again to do something a little different. Instead of matching beer with food we are matching beer with laughs as it’s a tried and tested combo! We are rolling out our regular Thursday night comedy show across the whole week and have gone to great lengths to get some really big name acts. Who can guests expect to see during the week? WM: Over five nights we have some BIG names in comedy including Dave Thornton, Sammy J, Luke McGregor, Randy, Claire Hooper, Jimmy James Eaton. Entry to the events is only $17 and includes a FREE Mountain Goat beer! If you are keen to match that beer with a meal you can also book for dinner before or after the show. Join various crafty ladies come together with Jayne Lewis from Two Birds Brewing for an afternoon of getting crafty while drinking craft beer. Why are you bringing the “other” craft to the Festival? Theresa Winters, chief crafty lady: Craft-making and craft-beer drinking seemed like an obvious (and pun-tastic) pairing. Plus, I wanted to create a space that was women-friendly. I deliberately set my event in a female-owned business, and all of the people involved in teaching the event are women. Not to exclude men in any way, but I wanted to carve out a space where women can feel comfortable tasting beer and learning new skills. TW: Amazing gift bags. No, really. It’s worth coming for the gift bags alone. Aside from that, we’re going to be tasting all of Two Birds' beers, and head brewer Jayne Lewis will be on hand to answer everyone’s questions. This will be paired with delicious, healthy dips from from Lee Gal of Naturalee. Craft-wise, we’ll be making three different items. We’ll be folding origami hop flowers with Lou from Paperlab.co; I’m going to show the ladies how to make earrings out of bottle caps; and we’ll create notebooks out of recycled beer cartons with Chloe Gunn of Gunnbelievable. I’m hoping people will use the items they create for the rest of Good Beer Week — I’m sure they’ll get loads of compliments when they make tasting notes in their new beer carton notebooks, for instance! Mornington’s Red Hill Brewery is involved in heaps of events, including two of the more unusual: a snooker shootout and a day surfing at a secret spot on the Peninsula. They’re also offering a special surf and stay package where guests can stay over at the brewery in the Brewers Cottage B&B. Why surfing? And why snooker? Karen Golding, co-founder Red Hill: We wanted to host a few events that were activities that we enjoy and provide a fun and casual way to get together with people, drink a few good beersâ¦ perhaps a little different from some âsit downâ type of functions or ones where we speak – just mingling with people over a good time and good beer. What can punters expect at the events? KG: Surfing will be based on the Mornington Peninsula, all levels can participate, a local surf coach is running the session, own gear welcome, all gear available for those that donât have it. There will be beers at the brewery, brewery tour, tank tastes, after the surf session and a casual bbq, like you would have in your own backyard. The Red Triangle is a legendary old-school pool hall, in almost original 60s condition. We are taking over one large section and provided eskies of beers. Everyone will play in a team of two, in rounds, there will be a final shootout. Very casual, fun night. Both events will be run by the owners and brewers at the events, so they will expect to mingle and talk and eat, and surf, and play pool against the whole brew crewâ¦. Alternatively, if you’re one of the beer world’s many hirsute inhabitants, take on all-comers at Rogue’s Beer’d Competition at Howler.